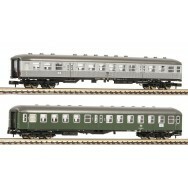 2 piece set "Classic express train set of the epoch IV" (part 2) of the Deutsche Bundesbahn (DB). 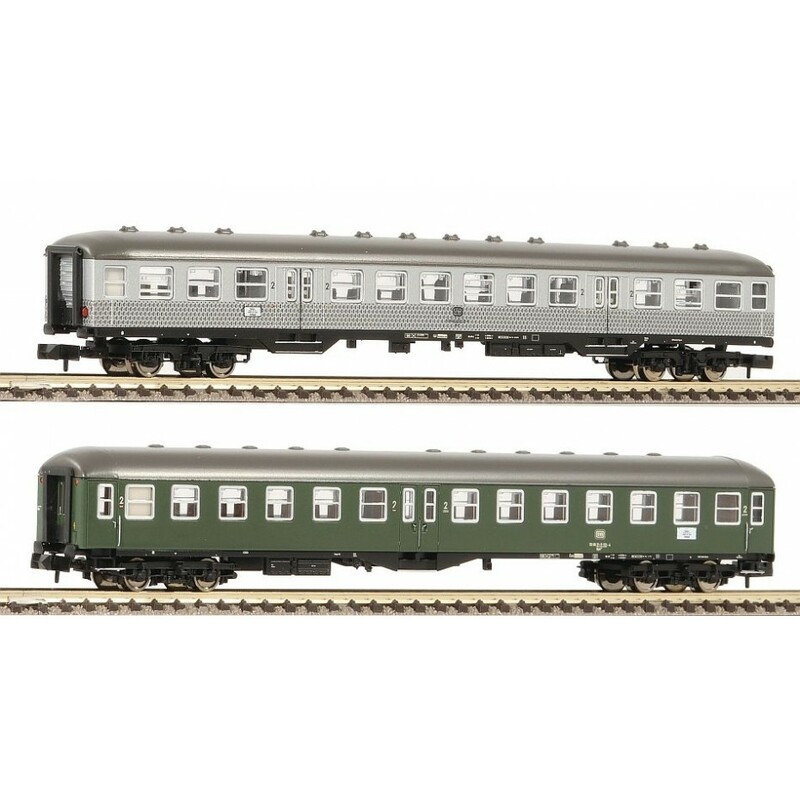 The set contains one 2nd class centre entry wagon type Bymb421 and one 2nd class "Silberling" type Bnb719 (with different running number than set 881811). Model with interior design and in-plane applied windows. Interior lighting can be retrofitted. Livery and inscriptions true to the original. Coupler pocket according to NEM 355 standards and close coupler motion link.